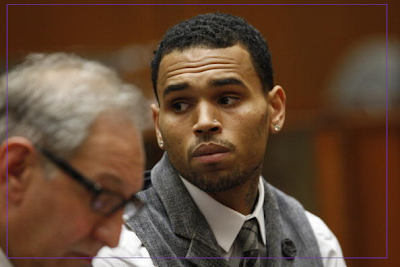 KayKiSpeaks.com: Chris Brown in Court Today, Judge to Chris- "Take my advice make good choices"
Chris Brown in Court Today, Judge to Chris- "Take my advice make good choices"
Chris Brown appeared just moments ago in court for probation stemming from his 2009 incident with Rihanna. The people raised a few questions regarding his community service hours as well as a few other possible violations including a failed drug test. While Chris Brown does hold a marijuana card for legal medical usage in CA, and the judge made it clear that a random drug test was never a part of his probation- she did warn Chris of such usage. "You are not a normal person who can just sit around and do whatever you want." she warned, but did not at the time extend any punishment for the usage of the drug. The judge also made sure to point out the usage to his mom who was of course in court with him. A few other issues raised were traveling violations-which the judge made almost very clear that she doubts has happened being that she signs off on so many dates for Chris. 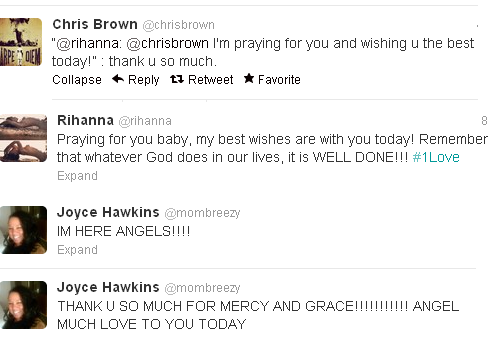 It also appears that the probation offices in VA don't send detailed enough reports of Chris' community service. The judge has ordered clarification on both of those issues and set a November date to get it all resolved. The judge and Chris' attorney Mark Geragos seem confident it will be clarified. Before Chris went in this morning he received an out poor of support and encouragement on twitter from the likes of fans, his mom, as well as Rihanna. The judge seems to want whats best for Chris and handles the case pretty fairly as it appears. I too want whats best for Chris who was very attentive and expressive in court today. Sometimes you gotta just clean up your surroundings..and do what you have to until you can do what you want. Hopefully no violations are found. The judge has ordered his probation be transferred over to LA completely.